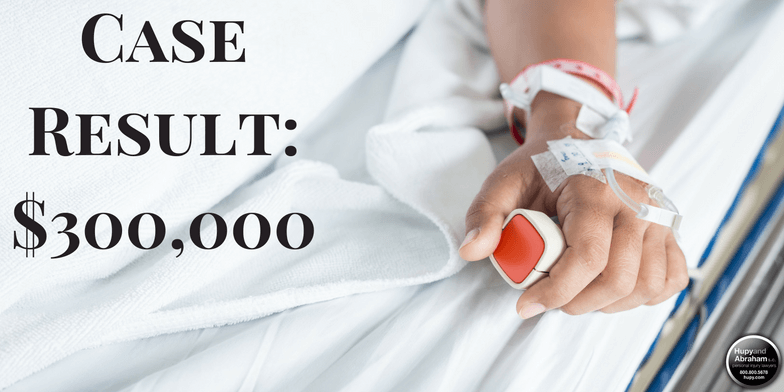 $300,000 for Deceased Nursing Home Neglect Victim | Hupy and Abraham, S.C.
Our client had been residing in a Wisconsin nursing home for two years when she fell and fractured her hip. Upon returning to the nursing home, our client received insufficient care. Within one month, she developed a pressure ulcer (bedsore) that became infected, ultimately resulting in death. The insurance company refused to discuss a settlement, forcing Hupy and Abraham to file a lawsuit on behalf of her estate and family. Less than three months later, the insurance company paid $300,000 to settle the case.